FHA 203k Full vs. Streamline: Which is Right For You? These days, buying a house is far from being a simple process. In order to get the best deal, you want to — as they say — buy low and sell high. That means buying houses in good locations for less than they are worth in the long run. 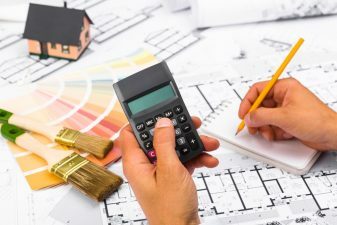 Oftentimes, that means buying a house that is a fixer-upper, keeping in mind that however much you put into renovations, you will get more than enough back. In these cases, the FHA 203k program can be a huge help. The Federal Housing Authority (FHA) provides loan options with the bargain buyer in mind. The FHA 203k program provides prospective home buyers and homeowners with financing options against such repairs for the life of the house. 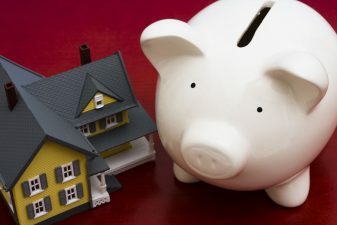 Furthermore, to make sure these loans are as simple as possible given individual circumstances, the FHA provides two types of FHA 203k options: Full/Standard and Streamline. The FHA 203k Program, Full vs. Streamline: Which is Right for You? For amounts over $35,000 or for major structural changes to the house, the FHA 203k program requires a more extensive process. If you find yourself in this position, do not be concerned. The additional requirements are there to protect your interests and the interests of your lending partner. On the bright side, there are virtually no limits to the work you can perform in order to improve the value of your home. The only caveat to the Full FHA 203k program is that the existing foundation must be preserved. So long as you preserve the foundation, you can — if necessary — tear down the whole house and rebuild it. Perhaps you are wondering, what is a major structural change? 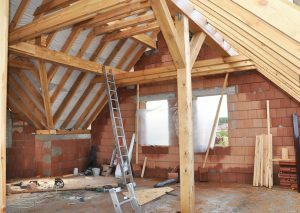 Basically, if you need to move or tear down part or all of the major framework or configuration elements of your house and then rebuild it, that is a major structural change. For example, let us say you find a house listed well below market value because — as it turns out — there is a major issue with the plumbing system, which has caused major structural damage to the walls. Repairs will be in excess of $35,000 and will require tearing out at least one external wall. Once the work is done, however, you know the house will be worth twice what you paid for it. Financing these renovations will require the Full FHA 203k program. Conversely, let us say that upon closer appraisal, the plumbing system does need some repairs, but only a few thousand dollars worth. There are some cosmetic but no major structural changes required. In that case, you might be able to go with the Streamline FHA 203k program and save yourself some time and a good deal of money. Since expensive, major structural changes represent a real danger to the long-term value of your home, stricter guidelines are required to ensure you are not going to be over-charged for the work, and that the work really will improve the value of your property. A license HUD contractor is mandatory in order to insure that you are getting a good deal. The work and the costs are subject to close scrutiny to ensure that the work is necessary and beneficial. After all, just because you can do something, that does not mean you should. For basic repairs, the FHA 203k program provides a Streamline option, and that option allows for up to $35,000 that you can earmark for repairs to your house. These repairs include kitchen remodels, new carpet, and any other non-structural repairs to your home. You can use the funds to pay for a professional to do the work, or you can use them to buy the materials and do the work yourself. This loan can be bundled into your mortgage at the time of purchase if you already know what needs to be done. Funds can also be refinanced into an existing loan after purchase. The streamline option is — as the name implies — quick and easy. Your lender will simply need some facts and figures from you, such as the value of your home, the cost of repairs, and the projected value of your home after improvement. Once you have that information, your lender can run the numbers, let you know how much it will cost with fees, and then bundle that loan into your new or refinanced mortgage. You then receive access to the funds you need to get the work done. It is that simple. According to federal guidelines, only a licensed lender can provide an FHA 203k loan. This requirement exists, again, to protect you, the homeowner. Lenders who have been trained and licensed understand the intricacies of the FHA 203k program. They have access to licensed professionals and appraisal teams who can take a detached look at your home to determine if the kinds of basic repairs designated by the Streamline FHA 203k program will be sufficient or if more extensive repairs will be required. Remember, both you and your lender have a vested interested in getting the best deal, but you are the one who is actually going to live in or resell this home. If you do decide to apply for an FHA 203k loan, your lender can and will make suggestions and provide you with relative values of repair options. Ultimately, the choice is up to you. Contact us today to get started on the FHA 203k process or for more information on our home renovation, remodel, or design-build services click here!